Even in this digital era, handwriting continues to be an important skill for children to master. When a student’s handwriting is not legible, it can be a struggle for the student and the teacher. 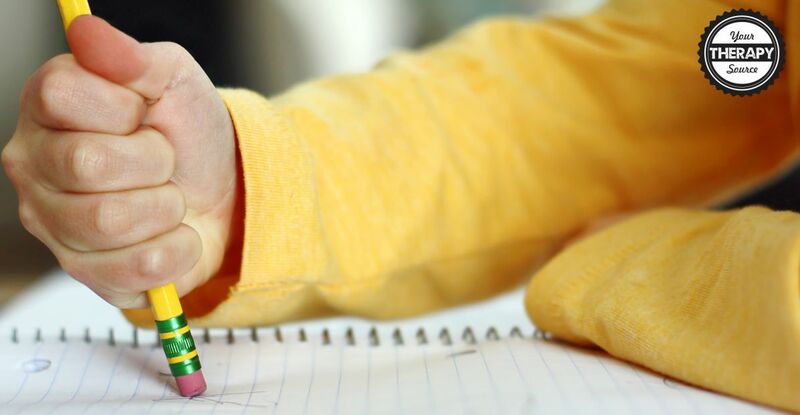 Pediatric Occupational Therapists, parents, and teachers can encourage handwriting practice, but sometimes it is hard to quantify whether the student is progressing. Therefore, the question is how do you measure handwriting legibility in children? The five areas are scored by the examiner based on a rating scale of 1 to 5 for each area. See bottom of the post for reference. Research in Developmental Disabilities published an article on a preliminary investigation of the reliability and validity of the Handwriting Legibility Scale (HLS). The researchers determined the following: high internal consistency and acceptable inter-rater reliability. Construct validity was good. The discriminant analysis revealed that 86.2% of the children with Developmental Coordination Disorder and 89.7% of the typically developing children were correctly classified to their groups based on the total HLS score. The researchers concluded that the HLS may be a useful tool to identify poor handwriting legibility. The tool has good internal consistency although further work is necessary to refine scoring instructions. It is suitable to use in the classroom to evaluate the handwriting legibility in children aged 8–14 years. Handwriting Rubrics – This is an electronic book of 26 rubrics to assess handwriting. A rubric is a scoring guide to judge performance on a specific task. 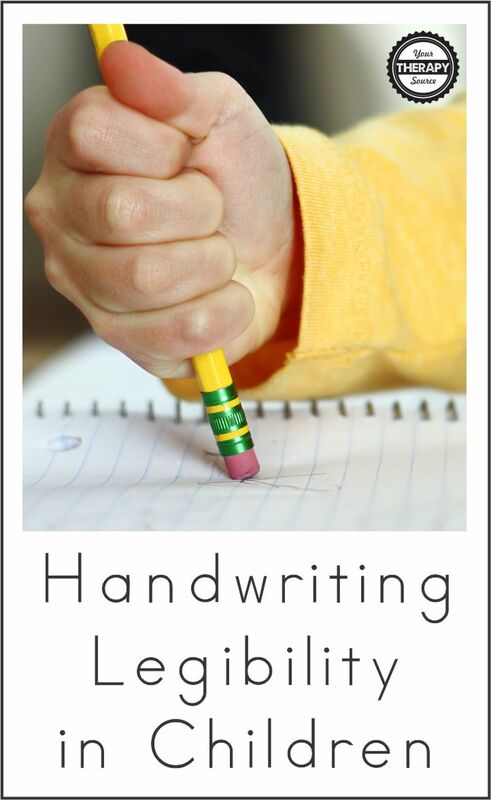 Have you ever wanted to quantify handwriting skills such as letter formation, speed or copying? 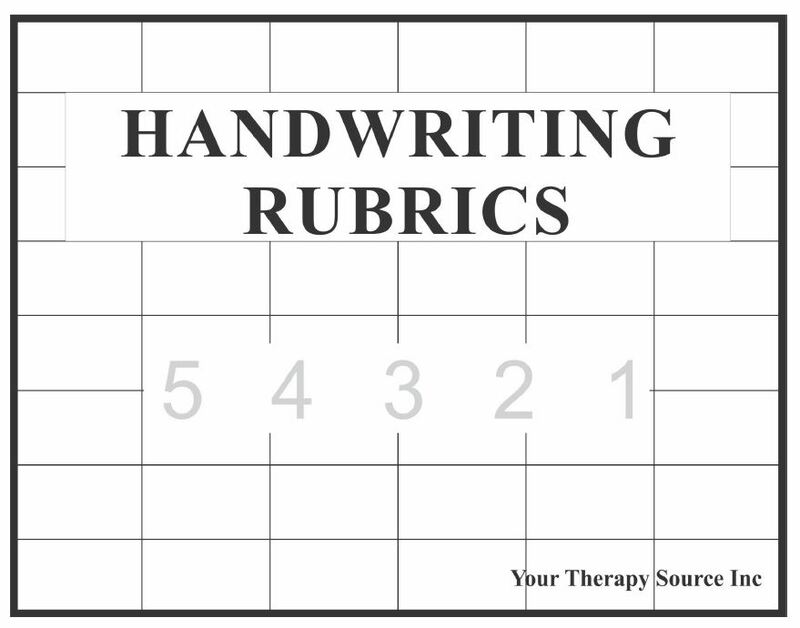 Handwriting Rubrics can be used as assessment tools to quantify an individual’s written productivity. By using the rubric, each individual can be scored based on the same criteria. FIND OUT MORE. Curriculum Based Handwriting Programs – What Does the Research Say? Barnett, A. L., Prunty, M., & Rosenblum, S. (2018). Development of the Handwriting Legibility Scale (HLS): A preliminary examination of Reliability and Validity. Research in developmental disabilities, 72, 240-247. You can view the entire Handwriting Legibility Scale in Appendix A here. This tool is practical and easy to use to measure handwriting legibility in children. Bedtime Yoga Sequence – Free Printable Reflective Learning Style or Passive Learning Style?